No one takes more pride in his witty opening remarks than me, but my sweet sainted mother is heading into town so I'll cut to the chase through the city and the end of the week and I love this blurred effect, don't you? The work on the annual spectacular little miracle known as Music Jerk Rob's Favorite Albums of 2012 along with a few other "end-of-year" circle jays is underway quite hard. 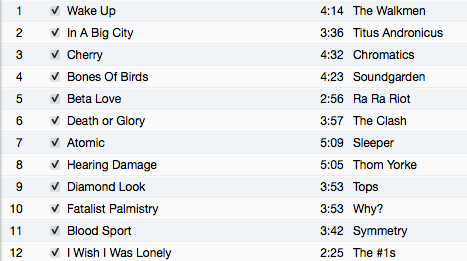 But I felt like you deserved one last hand-crafted pre-end-of-2012-best-of-this-and-that playlist. The blessing and curse of each December is the discovery of more new/new-to-me music via the Noah-esque flood of "best-of" lists. Most of the lists I've seen thus far have been painfully predictable. The web is a mixed blessing for today's music media. On the one hand, it's made access to new music that much more widespread. Yet conversely, the increased quantity of music critique and opinion hasn't necessarily resulted in any real increase in its diversity. Take a look at Spin, Paste, NPR's, and (coming soon) Pitchfork's year-end lists. They are monuments to painfully unadventurous consensus. It's not to say that there isn't some GREAT music on these lists--some of which will certainly end up on mine. It just requires a suspension of disbelief for me to buy that literally hundreds of prominent, influential music critics agree at a rate of 90% or so on the best 50 or so albums of the year. Surely, SURELY there was some digging undone. But alas, I digress. New, yet-to-be-formally-released tracks from Chromatics and Ra Ra Riot. Thanks to the greatness of Gorilla vs. Bear's 2012 end of year list, I discovered a band called Tops (or TOPS). SO MUCH going on here but I feel like I'm listening to the female counterpart of Ariel Pink. It's confoundedly hard to classify and endearing as hell. The #1's are an Irish rock band that's a side project spin-off of one of my favorite 2012 newcomers, Cheap Freaks. This music is spiritually-cemented to the late great The Exploding Hearts. Power pop delight. A note: No Spotify playlist this week. I hope it won't hurt your sense of loyalty to simply press a different "PLAY" button and use the playlist I've included below. Both mobile or on this site. No excuses! 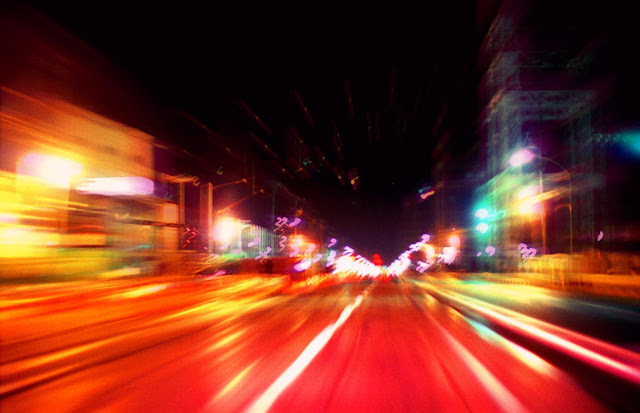 Playlist of the Week: Weekender 4 from RobRobRiot on 8tracks Radio.